People from all over the world visit the Netherlands. This could be to study at our universities, work together at one of our companies, live in one our beautiful cities, or explore our culture and rich history on a trip/holiday. Many of these travelers write about their experiences on a blog, which makes for an interesting read and let’s us know how people from all over the world feel and think about the Netherlands. 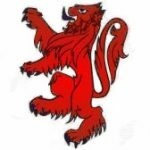 On this page I will collect and link to these interesting blogs. 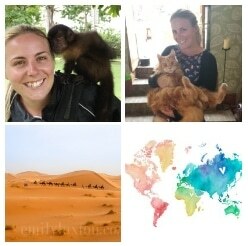 Wander-lust.nl is a travel blog by Sara & Elke, two Amsterdam based girls who love exploring the world. Their blog is packed with tips and experiences from all over the World, be sure to check out their section on Amsterdam. Also follow them on Instagram and Facebook. Check out Svetlana’s Maverickbird.com. She’s a super girl from India and has visited over 35 countries and has lots of useful travel tips and stories on her blog! Be sure to follow her on Facebook, Twitter and Instagram as well. The good, the fab and the lovely is a blog by Kathleen on fashion, beauty and travel tips. If you like what you read don’t forget to follow her on Facebook as well! Mumofthree World is a blog by Sarah. She describes herself as a slightly stressed-out married mum to three amazing, tiresome, funny, irritating, clever kids and blogs about family, book reviews, fashion and of course travel:) Be sure to check out her post on Amsterdam as well. Check out travel blogger Veronika at her blog ‘Veronika’s Adventure‘. Her blog focuses mainly on Europe and Asia and if you like you can follow her on your favorite social media as well: Facebook, Twitter, Pinterest and Google+. We Are From Latvia – Blog about traveling and volunteering. Written by Kaspars and Una. While I’m Young and Skinny is a travel and lifestyle blog for twenty somethings (and wannabe youths) with wanderlust and big dreams. If you want to see the world AND have a career, check out Dannielle’s blog! Travellous world is a blog by Maaike, a Dutch girl in love with London. But don’t worry she writes about the Netherlands as well as we can see in her articles ‘48 hours in Tulipland‘ and ‘Walk the Walk: The Betuwe‘. Check out travel210.com, a rapidly growing travel magazine that’s great for inspiration and ideas! It’s been around only since 2014 but number of quality articles on the blog is already really impressive! Be sure to check out their post on the top 10 places to visit in the Netherlands and of course the one on the Rijksmuseum! Follow Rachel’s adventures on rachelheller.org a blog with travel info (also on the Netherlands), expat stories and more. Travel on Inspiration is a blog by Jason where he’s been blogging about travel since 2012. Check out all the cool destinations he’s written about and get some great inspiration for your next travels. A Wanderlust For Life is run by Sean and Jess — an expat couple from the United States who settled in Amsterdam. They write about expat life and traveling while using only carry-on bags. They travel like temporary locals by staying in apartments, using public transportation, and interacting with the locals… it’s not just about the sights! Travel is about the people. Contented Traveller is a blog by Gordon and Paula where they share their experiences exploring the world. It’s filled with great tips, cultural experiences and is a joy to read. They are active on all the popular social platforms as well, so be sure to follow them. Citymom.nl is a hotspot & lifestyle blog that focuses on mothers in Amsterdam. Travel Chameleon is a great travel blog by Fie, also includes some great posts on the Netherlands. Don’t worry Just Travel is a great travel blog that covers places all over the world. It has a great section on the Netherlands as well. Mike’s Bike Tours and Rentals – the best bike tours of Amsterdam and “undercover” bike rentals. SheelaghMairi.nl is a Dutch blog by Sheelagh all about travel, hotspots & hapiness. Where is Per is a travel blog by Perri Rothenberg. Her blog can be used as an inspirational guide for tips on exploring the world. With 67 countries visited, Per covers a large part of our earth! X Days In Y is a website that provides point-to-point travel itineraries for places around the world and lists of top things to do. It helps you organize your visit with loads of photos, maps and tips. You’ll also find an Amsterdam itinerary for a long weekend and a list of the top things to see & do. ‘Travel. Experience. Live.‘ is a travel blog by Belgian blogger and photographer Bram. Read about this adventures and experiences as he travels around the globe. My Funky Travel is travel blog about backpacking in Europe and Asia. Full of ideas and tips to do in locations spread over the world. Amsterdam Tours by Let’s go Amsterdam! Get a guided city walk by one of the highest recommended guides in Amsterdam. VallieLaGiraffe is a lifestyle blog by Amsterdam based blogger Valerie. It’s about food, drinks, shopping and beautiful places. Simply Amsterdam is an online travel guide to the capital city of the Netherlands, Amsterdam! Find out what to do, where to stay and where to eat. History & heritage of the Netherlands : information, presentations, guided walks & bicycle tours on www.guideholland.com (English language website). The Yoga Nomads is a super fun blog to follow for those interested in travel, yoga and lifestyle tips. The blog is maintained by two traveling yoga teachers, be sure to sign up for their newsletter as well! Check out mummytravels.com, a 30 something traveling mum, and read all about her stories and tips. 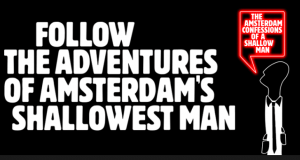 Check out the blog amsterdamshallowman.com, a great blog by Simon Woolcot. Also check out the two ebooks he has to offer (‘The Amsterdam Confessions of a Shallow Man’ and ‘The Shallow Man Guide to Dating the Dutch”). Have fun! World Wandering Kiwi is a blog by Natasha von Geldern who travels the world one step at a time. With over 50 countries traveled she’s got lots of info to share. Let’s Kiss and Makeup is a blog by Alix, a 19 year old Law student who loves blogging about fashion, makeup and occasionally her travels. Daytrips in Holland – Book Excursions in Holland online. Daytrips from Amsterdam to Delft, The Hague, Volendam, Edam, Marken, Rotterdam and the Keukenhof.